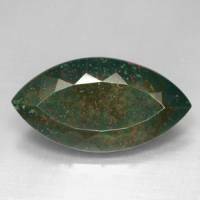 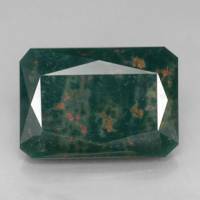 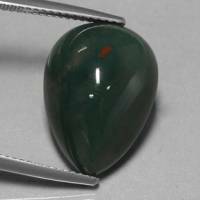 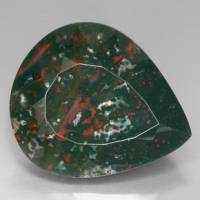 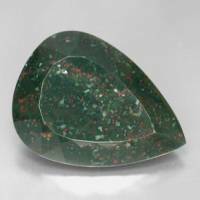 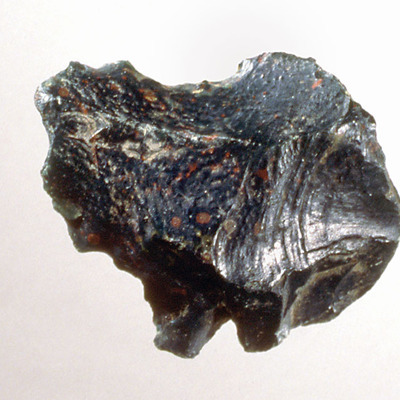 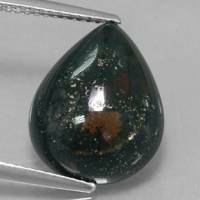 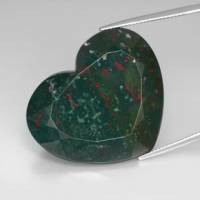 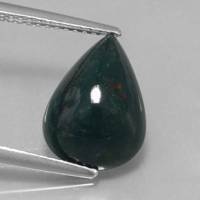 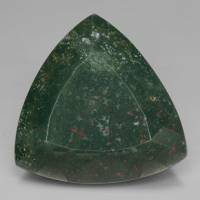 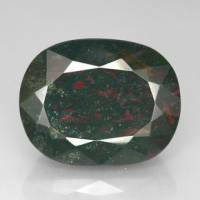 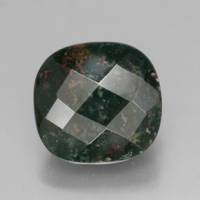 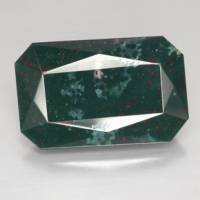 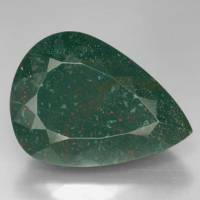 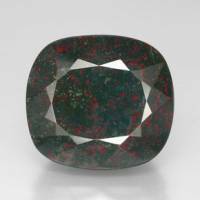 Bloodstone is an opaque, dark-green Chalcedony with red spots. 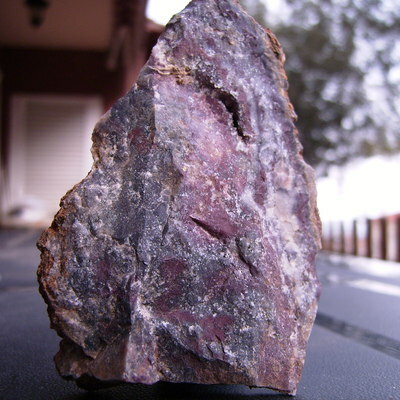 An old name still used in Europe is heliotrope (Greek - sun turner). 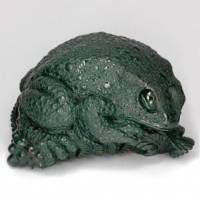 Used often as seals for men's rings and for other ornamental objects. 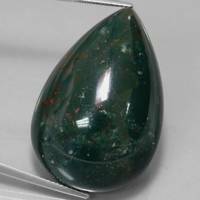 In the trade, the term blood jasper is sometimes used. 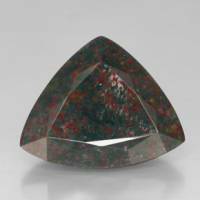 Bloodstone, however, is not a jasper at all, even though a radial structure with spherical aggregates can simulate a grainy appearance. 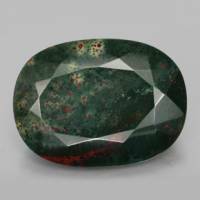 This table shows distribution of Bloodstone gemstone sizes that are listed on this site. 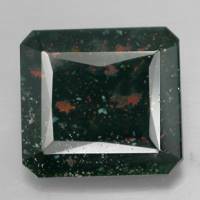 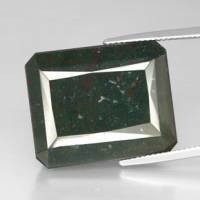 This can give a good indication as to the general availability of this gemstone in different sizes. 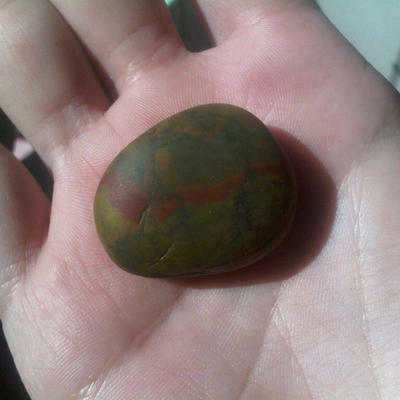 Do you have a larger Bloodstone? 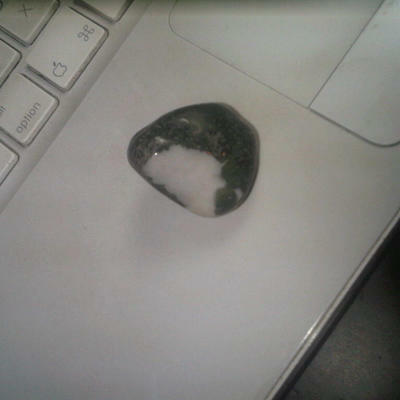 Why not upload a photo? 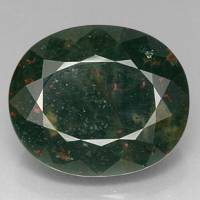 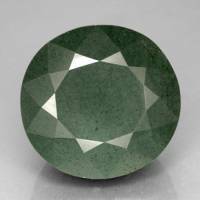 Particles of chlorite or included hornblende needles cause the green color. 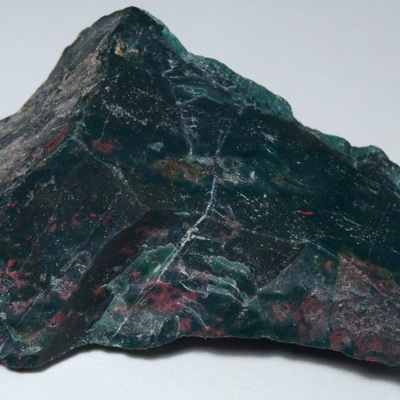 Red spots are caused by iron oxide. 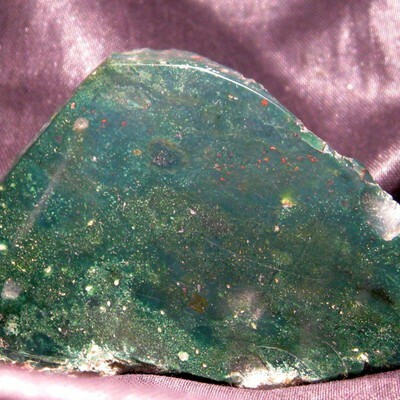 Symons, Henry Heilbronner (1940), Quartz gem stones of California: Rocks & Minerals: 15: 41; Murdoch, Joseph & Robert W. Webb (1966), Minerals of California, Centennial Volume (1866-1966): California Division Mines & Geology Bulletin 189: 318.